Valentine’s Day 2014: Richard & David at the Mayflower Park and Don and Pam at The Willows Lodge. 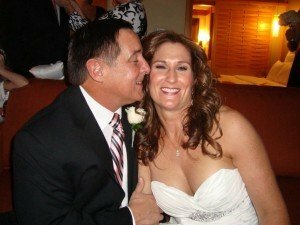 ..
After I married the wonderful Richard and David at the beautiful Mayflower Park Hotel in downtown Seattle, I zipped across 520 to another one of my favorite venues, The Willows Lodge. Awaiting me at the Lodge ~ Pam and Don. Pam had been planning their wedding for sometime and many of her custom and amazing DIY touches enhanced the ceremony and reception. Surrounded by 35+ close family and friends, and with plenty of hankies on hand, Don and Pam exchanged personal vows, with their children as their witnesses and wedding party. We spoke about the journey that brought this couple to this day – an approach that was poignant, heartfelt and fully authentic. What I love about Pam and Don is they love each other fiercely. They overcame twists and turns to be together. They are meant to marry. And so it is! Comments Off on Valentine’s Day 2014: Richard & David at the Mayflower Park and Don and Pam at The Willows Lodge. ..